The growing number of orders and different approaches of each Printers and box maker to solving similar problems. Monu Graphics soon grew as an Exporter for Printing and Corrugated Packaging Machinery and achieved distinction of Exporting India’s Best offset Printing machine and Corrugated Board an Carton making plant to Africa, UAE, Sri Lanka, Bangladesh, Nepal, Bhutan, Nigeria as well as many other countries. Monu Graphics today is recognized as a symbol for quality, performance and excellence Continued relatively strong dedication to work and its commitment to service. The company has established a world wide reputation which is continued to the present. Over the years Monu Graphics has developed “A SOLID REPUTATION” in India and abroad, for its Printing and Corrugated Machine. Monu Graphics has installed thousand of machines in India and abroad. Under the able guidance of mentor, Mr. Ravinder Singh, we have gained a prominent position in the market. His leadership encourages us to obtain optimum level of client satisfaction based upon timely delivery of products and interactive after sales services. 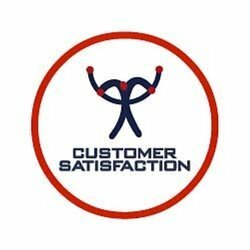 Customers are highly important for the success of our organization. Therefore, we leave no stone unturned to maintain long lasting relations with them. Our efforts have imprinted the name of the organization on the minds of clients across the globe. The quality machines that we offer are successful in attracting many new customers to the organization while retaining the old ones. We maintain open communication channels with all our customers and help in solving their problems in our own unique way. Our clientele spans across different countries of the Indian Subcontinent, East Asia, Middle East and South East Asia. The payment terms that we provide are D/A, D/P, and L/C, whereas, the payment modes accepted by us are Cash, Cheque, and DD. Our team comprises highly dedicated professionals, who work round the clock to achieve the goals set by the organization. The team is committed to fulfilling the specifications put forth by the customers and is capable of dealing with their customized demands and requirements. Our team is divided into many sections in accordance with the specific areas of expertise of the personnel. We provide regular training to our team members in order to ensure that they remain updated with the latest technological trends in the industry. Low Electricity consumption, less time, high range of productivity with less Labour.